Madeira Beach, Fla. (April 14, 2015) – The National Volleyball League (NVL) will be in Madeira Beach, Fla. at John’s Pass Beach from April 24 – 26 for the second tournament of the 2015 pro season. The three-day event will feature a 16-team draw per gender with teams vying for a $50,000 prize purse. Pros from across the country will compete for the championship title including several local Florida players: Brooke Niles and Karolina Sowala, 2015 Panama City Beach Championships women’s winners; Dave Palm, 2015 Panama City Beach Championships men’s winner; Priscilla Piantadosi-Lima, winner of five of six 2014 NVL pro tournaments; and Piotr Marciniak, NVL’s 2014 Offensive Player of the Year. Prior to the women’s finals on Sunday, the NVL will hold a free NVL RIZE & PlayFIT Foundation “Clinic with the Pros” and autograph signing. VIP tickets may be purchased here. “We are excited to have the National Volleyball League hosting an event in Madeira Beach. What better place to host such a quality event than on 35 miles of America’s Best Beaches. We hope to have the NVL players and fans here again next year for another fantastic tournament,” commented Kevin B. Smith, Director of Sports for the St. Petersburg/Clearwater Sports Commission. May 29-31 Ocean City Championships Ocean City Beach, Md. July 10-12 IndyFest Championships Milwaukee Mile – Milwaukee, Wisc. 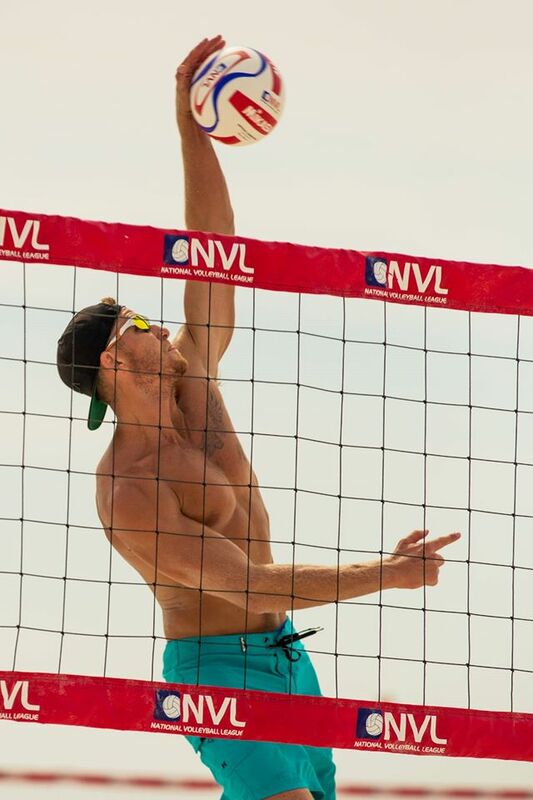 August 6-8 Hermosa Beach Championships Hermosa Beach Pier – Hermosa Beach, Calif.
August 27-30 Seattle Championships Alki Beach – Seattle, Wash.
September 24-26 Players Championships Club Med Sandpiper Bay/NVL Volleyball Academies – Port St. Lucie, Fla.